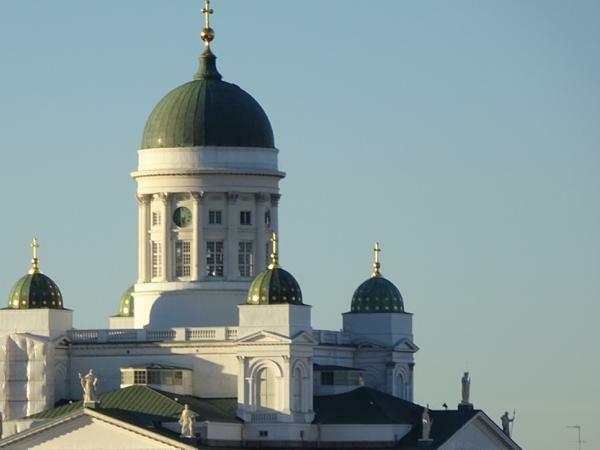 Local Private Tour Guide | Helsinki, Finland | Catherine M.
Welcome to Helsinki! I've always wanted to guide people in my native town, which is nowadays the best place to live in the world. I'll make you discover whether it's winter or summer the best of Helsinki, which is now a very international city with more than 300 nationalities inside of the 1, 4 million local inhabitants of the metropolian area. I'm one of those cultural mixtures! Helsinki Airport is the hub airport of Northern Europe, where you can take your correspondance to Asia and I'll be delighted to propose you a tour during your transfer! Just dare to experience the Northern delights in design, food and culture for a lifetime memory. Don't be scared of the low temperatures in winter, we are equipped for and in the Summer, with the climate change, we usually have the same weather as in middle Europe, meaning sometimes a better warmer one in a non-polluted country. Here everything is clean and you will be surprised and enchanted to discover the place that you have always been looking for, at least in your dreams when talking about the authentic Finnish Santa, who is waiting for you! Yes, you can meet him in person! Catherine was an excellent tour guide. Beside that, she also knew every single corner of her town and she also gave us 2 bouquet of flowers when we just arrived at Helsinki Central Station. How sweet was she! She knew what to do and where to take us, she also funny and helpful. She speaks english & finnish so well and she got a lot of friends in Helsinki as well. I highly recommend her to you guys if you're interested in Helsinki day tour programme. Thank you Cath for the best hospitality.